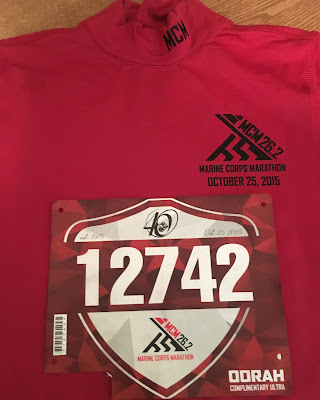 So, I'm running the Marine Corps Marathon tomorrow. This possibly might be one of the worst ideas I've had in a while. Who runs marathons two weeks apart?! Crazy people, that's who. 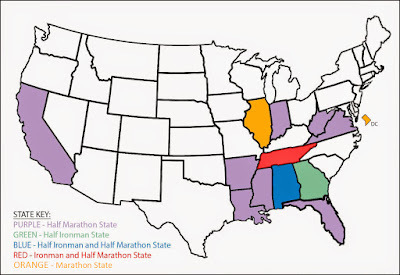 It might be a different story if one of the races were in Nashville, so I didn't have to travel but NOOOOO. They're both out of state - Chicago and DC. But we're all checked in and I'm taking today to just sit around. 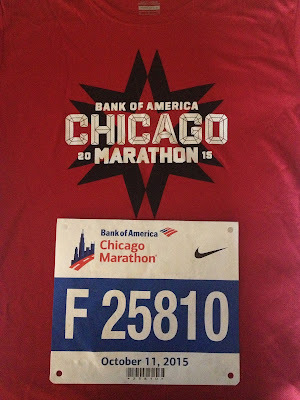 Maybe I'll be rested enough tomorrow to run a decent race. The weather is iffy - it's supposed to rain in the morning. We'll see. The MCM is supposed to be on par with Chicago as far as crowd support goes. I hope the threat of rain doesn't keep people away. If you're in the DC area, come down and cheer us on! I'm going to need all of the help I can get!! The day started at 5:30 AM. The race wasn't until 8:00, but I wanted to start heading down to the start line at 6:30. Considering how crazy the expo was, I didn't know what chaos would lie ahead at the start line, and I wanted to get down there with a ton of time. The last thing I wanted to do was get lost wandering around Chicago and not make it to our corral before it closed (about 20 minutes before the race start). 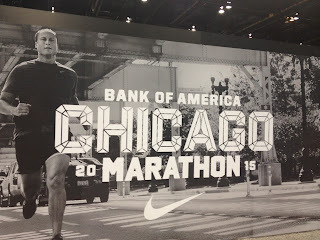 I knew the hotel was a little less than a mile from the start line and it was a straight shot down Michigan Avenue, but knowing me, I'd still get us lost. Turns out, I had nothing to worry about. The race start truly was a straight shot down Michigan and we got there around 6:45. 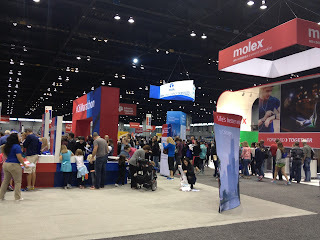 Like the expo, it was huge. Runners and spectators were everywhere. 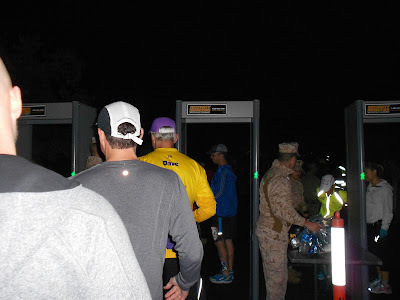 We had to go into a pre-determined gate (based on your bib number) to get to our corral, and we had to go through security at the gate. That was a new one for me. I guess I should have expected it after the Boston Marathon bombings, but it kind of shocked me...and made me sad. After a few photos and an obligatory stop at the porta-potty, Dudley and I headed to our corral. 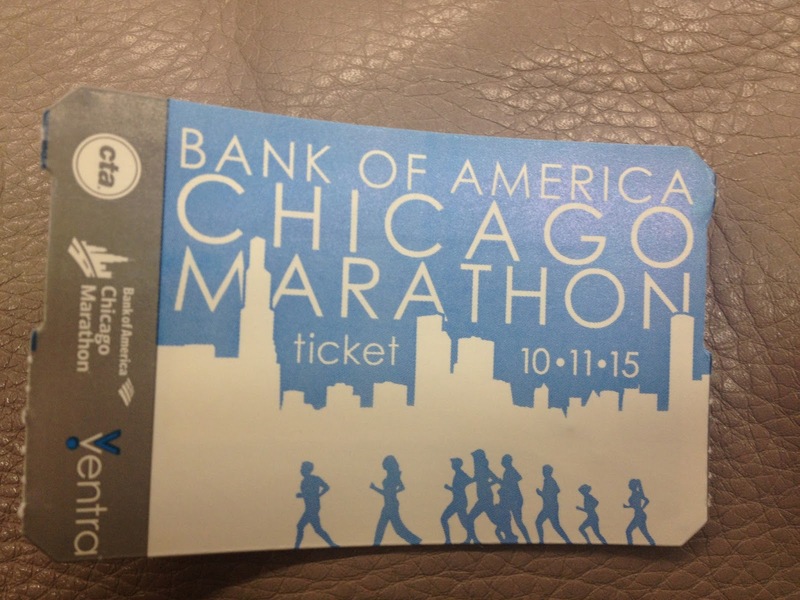 The Chicago Marathon actually had two starting times. The first wave started around 7:30. This one was for the elites and corrals A-E. Dudley and I were in corral F, so we were in front of the second wave. We got into our corral just as the National Anthem started. It was about then when I started getting emotional. The National Anthem gets me emotional anyway, however, there was something about being surrounded by 45,000 people who were all about to do something (dare I say) epic. And I was going to be a part of it! How amazing was that? I actually got a little teary while waiting for the race to start. The Elites started right on time, and the earlier corrals soon after. Since my corral wasn't scheduled to start until 8:00, we had a few minutes to hang out and wait, but it didn't seem like "that" long. We moved through slowly through the streets of Chicago moving closer and closer to the starting line, until we heard "CORRAL F! GO!" And we were off. We ran through the skyscrapers of Chicago for the first few miles. This really threw me off because you know what doesn't work when surrounded by skyscrapers? My Garmin. I didn't even think about that! Of course, you're not going to get reception in downtown Chicago! I got a little more frustrated / stressed by this than I really should have been, but I was worried about getting caught up in the race and running too fast! That's the #1 mistake of first-time marathoners! And now I had no way of knowing how fast I was going! We tried to go off of Dudley's Garmin, which had better reception than mine did, but his was still wonky. Finally, we just forgot about our Garmins and tried to deduce our times by the clocks that were set up at every mile marker. While running a marathon and doing math at the same time is a little difficult, we were able to figure out we averaging about a 9:45-10:00 mile. Which actually was a little fast pace-wise for us in a marathon, but not too bad. 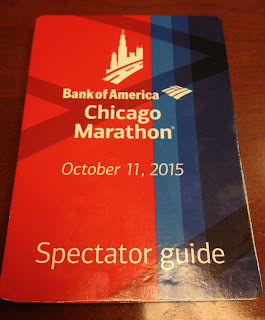 This might be a good time to mention that I did actually have a plan for this race. 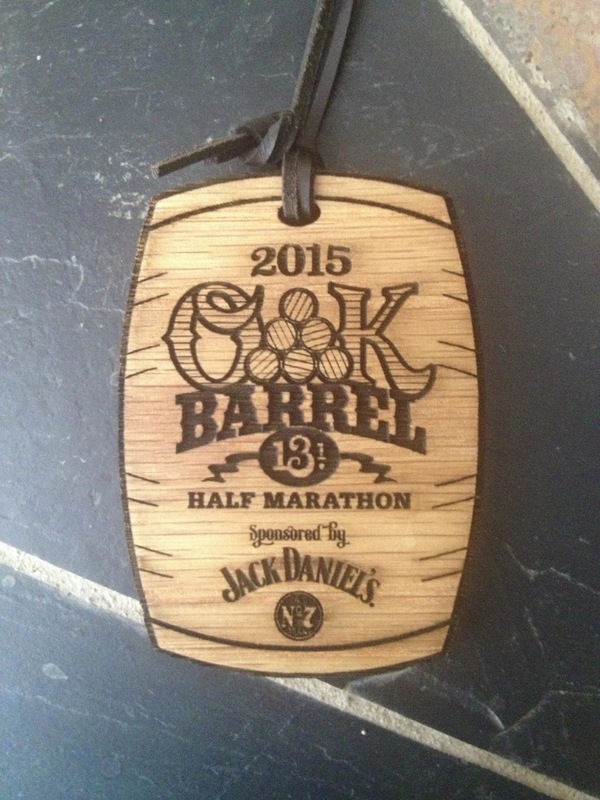 This wasn't just a "go out and run for 26.2 miles and see how you do." No. I had a pace for every mile, which was why I was so freaked out when I couldn't get any reception for my Garmin. I can't work the plan if I didn't know my pace! 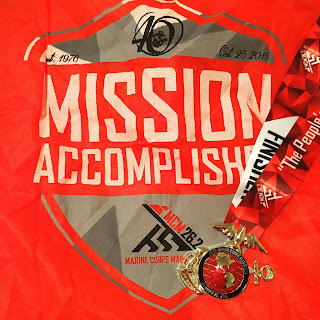 I'm not going to break down every mile here (you're welcome), but the gist of the race plan was to start at a 10:00 /mile and speed up throughout the race and hopefully finish around 4:10-4:15. Everything in my training supported this plan, and it was actually pretty conservative - so I thought. So, we were running through Chicago and things seem to be going OK, but I noticed that my legs weren't really waking up around mile 3 like they usually do. They still sort of felt heavy. They didn't hurt, but they definitely didn't feel as good as they have in recent training runs. Everything else felt good though, so I didn't really think too much about it. 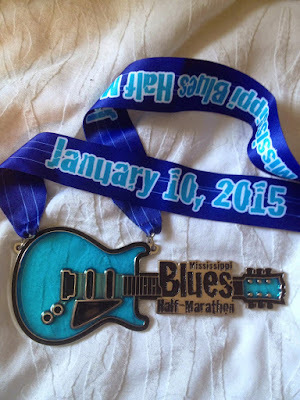 However, mile 6 came along, and the thought of how my legs felt popped up in my mind again. They still felt more tired than they should have at this point in the race. Again, I tried not to focus too much on this, because if I did, I'd start to panic and it was WAY too early to panic. Unfortunately, this is about when it started getting hot as well. Not crazy hot - it was perfect if you were a spectator (mid to upper 70's with bright blue sky) - but definitely hotter than I like as a runner. Without going into detail - miles 14-20 were just awful. Miles 16-17 were the worst, but they all sucked pretty bad. Everything was starting to hurt, and I couldn't keep my pace. I was also getting really hot. I wasn't cramping, Thank God, but I was really having a hard time picking up my feet. The worst part was that Dudley was having a GREAT race, but he wouldn't leave me. Though I'm glad he didn't, I wanted him to just go on because I felt like I was holding him up. He was trying to do that tough love of "I know you can do this! I've trained with you! You can do this!" But that only upset me more because I KNEW I could do it! I'm trained! I was better than this!! But my body just didn't want to run anymore. Though I didn't actually start to cry, I wanted to. Then some nice runner came by and gave me gummy bears and I felt better. I love gummy bears. Thank you nice stranger!! Finally around mile 23, things turned a corner. 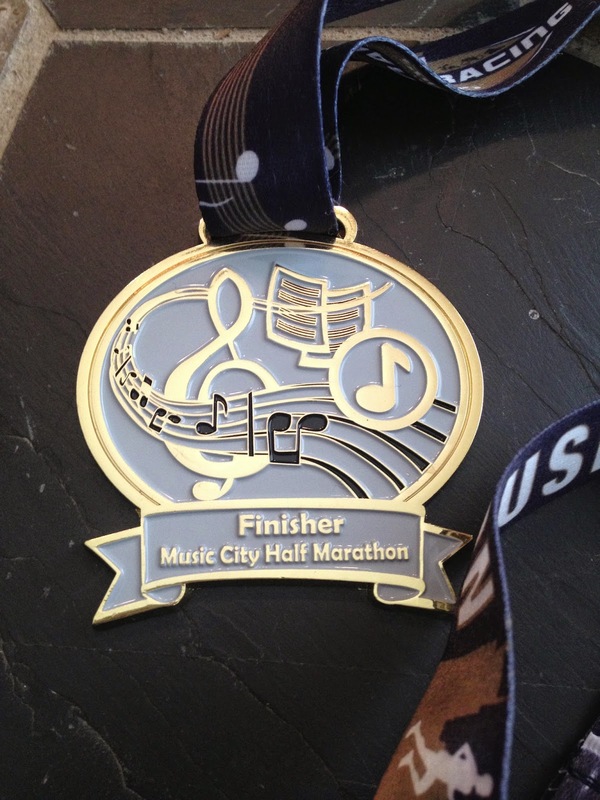 I still hurt, but I knew I would finish. Granted, it was way past my expected time, but I would finish. We slowly jogged, as there was no "running" now - it was a jog, past the mile markers. Mile 23.... Mile 24... Mile 25... I had promised myself that I wasn't going to walk at all after mile 25, even for water stops. I was kind of regretting that decision because right when you hit the 800 meter mark there is a hill. Granted, it's the ONLY hill on the course, but it's still a hill. Kind of mean for the race organizers to throw a hill in right there after 24 miles of flat, but they did. But we made it up and then hit the turn for home. The finish line. We did it! Final time: 4:41:16. Yes, this post would be much more effective if I actually had the photo of Dudley and I crossing the finish together hand-in-hand, however MarathonFoto somehow didn't get a photo of us together. What is up with that?!! There are 20 photographers at the finish and not one of them got a photo of the couple holding hands?! REALLY? So I didn't buy them. Oh well. We did see a proposal at the finish line. That was kind of neat. After the race, Dudley and I made a beeline to the post-race massage tables. Well, we sat down for about 15 minutes THEN we went to the massage tables. I generally don't even visit these tables because the lines always seem too long, however, the line here wasn't that long. With good reason - Chicago had 275 massage therapists working!! CRAZY! They were like a machine! They got the runners in there FAST. Thank you Chicago for providing this service and doing it so well. The massage felt great and was exactly what we needed post-race. 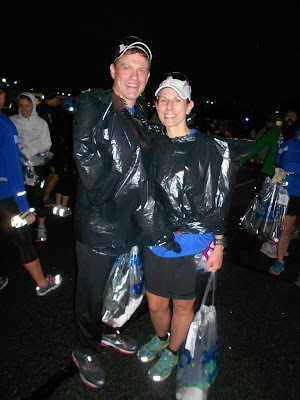 We then went and hung out in Grant Park with the 45,000 other runners and their families. Everyone was so happy and it was a perfect day to sit down and enjoy the atmosphere. After a while, we headed back to the hotel, cleaned up and went back to the park to take a photo at the Bean. Because that's what you do in Chicago. 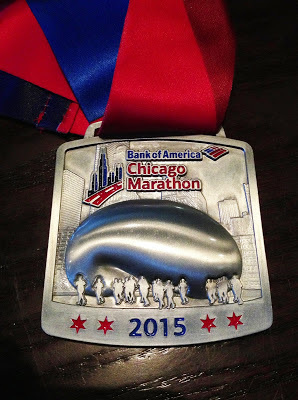 Additionally, the medal had the Bean on it! We HAD to get a photo at the Bean! With our Bean medals at the Bean! To wrap up - the race was amazing. 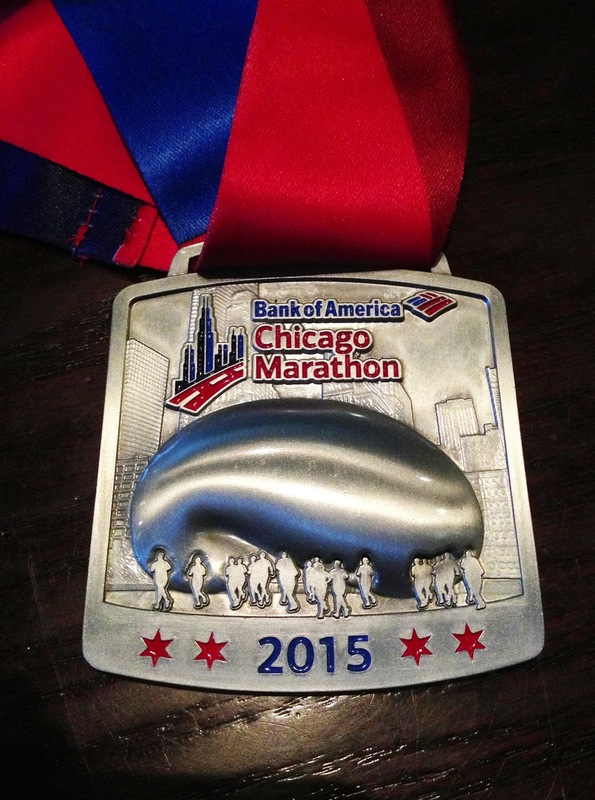 If you only want to do one marathon in your life, Chicago is a good one to do. Everything it BIG. The expo, the crowd, the participants...it's all a huge deal and quite the experience. 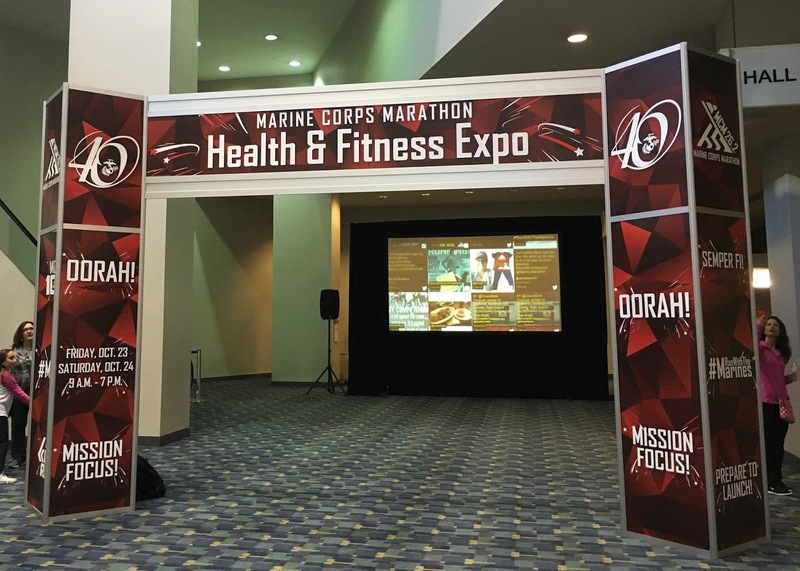 The only thing I would change about the weekend would be to have flown in on Thursday, hit the expo early on Friday and then rested all day Saturday before running on Sunday. Looking back, I think the main issue my run suffered was just because I was tired from work and travel. That and the weather, but mostly exhaustion. But even though I wasn't happy with my time, I still had a wonderful experience. Thank you, Chicago! I'll be back...maybe even to race again. Oh - just in case anyone was wondering- I'm racing the Marine Corps Marathon on Sunday. As in two days. We went to the expo today. I'll write more on that next week if I can still function! 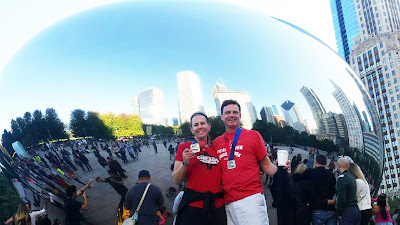 Last Sunday, Dudley and I ran the Chicago Marathon. It was truly one of the most amazing things I've ever done. For those of you with a short attention span, here's the end result: a disappointing 4:41. For the details: read on. We arrived in Chicago Saturday morning. We took the first flight out of Nashville (6:00 am), so we had to get up at 3:30 am. This was really stupid looking back on it, but it seemed like a good idea when I booked the flight back in May. Anyway, we arrived in Chicago around 7:30 am, caught the train and were at the hotel around 9:00 am. 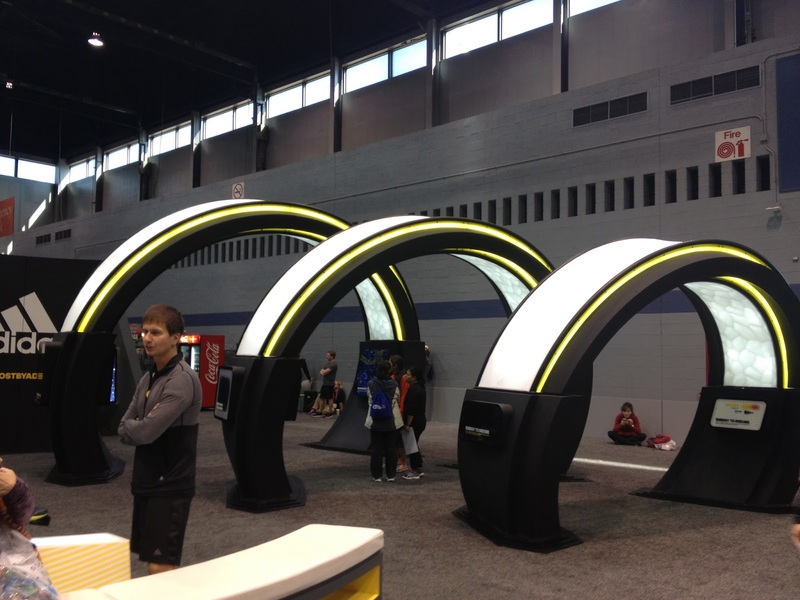 It was immediately obvious that Chicago LOOOOVES their marathon. 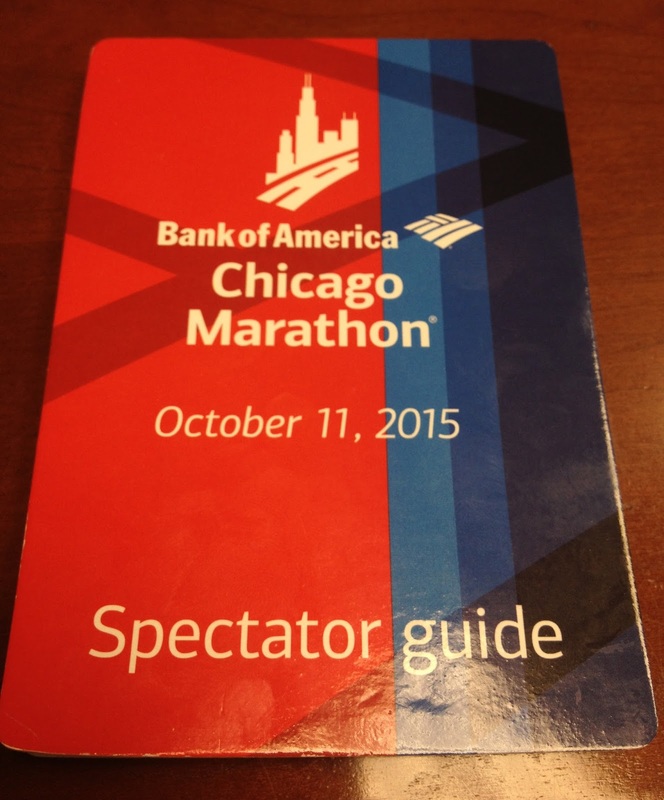 I mean, duh - it's the Chicago Marathon, but it's still a huge city and lots of BIG things go on in a huge city. 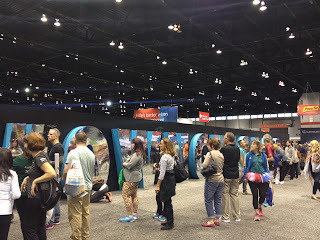 But Chicago was all about the marathon this weekend. My ticket for the L.
Free pocket-sized spectator guides were everywhere. Since we were too early for the hotel check in, we dropped off our bags with the bellman and caught the shuttle to the expo. Funny story about the expo - I hadn't really paid that much attention to the logistics of race weekend before we got there. I mean, I knew when the race was, and what time it started, but I figured everything else could be sorted out once we got there. 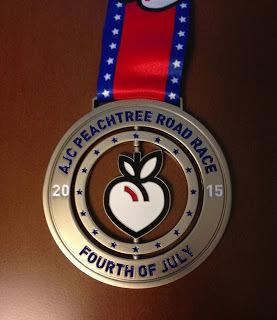 One of the nice things about a running race is that there aren't a ton of details. It's not like a triathlon that has a crazy amount of gear and transition areas to set up. For a running race, even a large one, you generally just check in, show up and run. Easy, peasy. So, Dudley and I were in the hotel lobby and were looking up the location of the expo. I had assumed that the expo was somewhere downtown near the race hotels because that's what is standard. Surely, the expo would be within walking distance from the hotel, right? Umm- no. It was 12 minutes away - BY CAR. Oops. Fortunately, while we were debating on whether to take a cab or the train down there, one of the hotel employees pointed out a free shuttle that was literally outside of our hotel that would take us down to the expo. Maybe I should have read the participant's guide, huh? 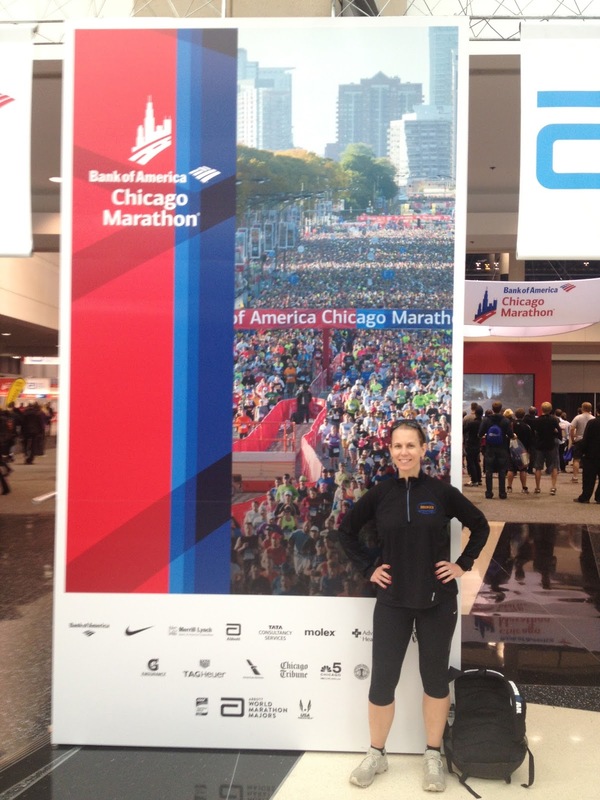 WELCOME TO THE CHICAGO MARATHON! Holy Mother of Expos. 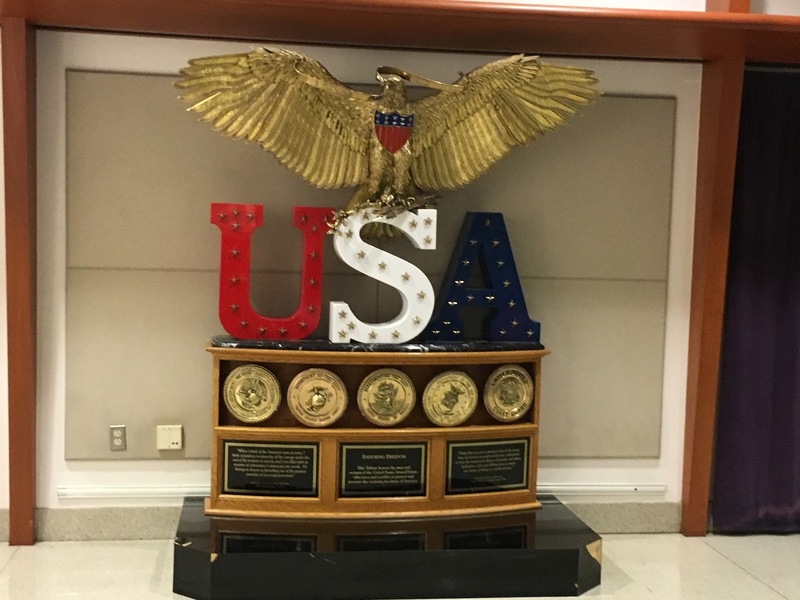 This thing was HUGE and, honestly, a little overwhelming. Looking back, we probably should have eaten something before we went down there because we were both starving and you needed your energy to check out this expo. Obligatory photo in front of a giant sign. 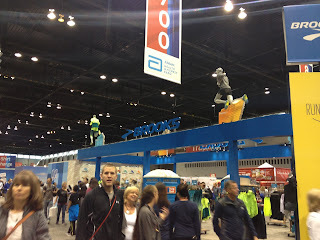 The first thing you do when you get to the expo, other than take 900 photos with giant signs, is check in. That's how the expo is set up. They had these check in kiosks that reminded me of airport security. There you had your participant's e-mail scanned and your ID checked. My check in person legitimately looked at me too. It wasn't just a "I trust who you are and this is a formality" kind of thing. She was making SURE I was the person on the ID and that it matched the participant e-mail information. After I was approved, I was sent further back in the building where another row of check in people were waiting. Not that I could go to any of them...No, I had to go to one specific person that check in person #1 told me to go to. Why? Because check in person #2 already had my participant packet ready for me when I got to her. I didn't even have to tell her my name. I just walked up and she said "Kristine?" and gave me my packet (after checking my ID again, of course). These Chicago Marathon people don't mess around. 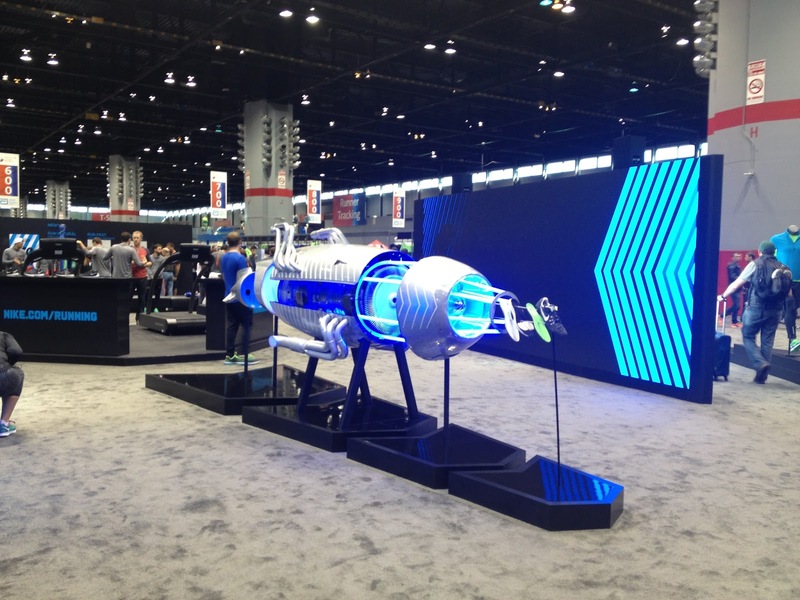 Just a random shot of the expo floor. 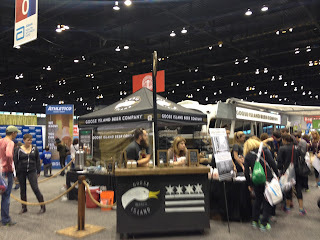 Goose Island Beer brought their BUS. I don't even know what this thing is. Because Nike was the official clothing sponsor, they had a huge presence at the expo. They had a separate section for the official Chicago merchandise and it was surrounded by signs like the one below. 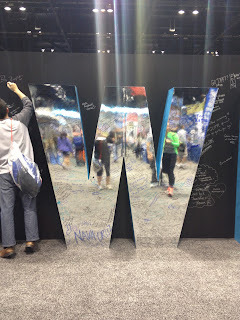 But on one of the walls, they had giant letters that spelt out #ownchicago. People could write good luck (or whatever) on them. This must be a thing for Nike at large races because they did a similar thing at the Nike Women's Half I did in DC a few years ago. There was a line to write on the letters. And again, I have no idea what this is, but I think it's Nike's. Though we knew we missed a good part of the expo, we caught the shuttle back to the hotel because we HAD to eat something other than free vendor samples. Though when we pulled up to the hotel, I was REALLY glad we went to the expo first thing rather than waiting until after we ate. The line for the shuttle back to the expo was about a half a block long. Apparently, Dudley and I had hit the expo at the right time. It had to have been crazy crowded later in the day. After getting some food, Dudley and I were finally able to check into our hotel and relax for a bit. I was a little bummed because it was a BEAUTIFUL DAY in Chicago, and we couldn't take advantage of it because we needed to get off of our feet for the rest of the day. But, I guess there are worse things in life than to hang out and watch Texas beat Oklahoma!! Hook 'em! It's officially Chicago Marathon Week! Just a few more days anxiously counting down the hours until we head off to Chi-Town! I'm ready to get up there, buy a bunch of overpriced swag and get my run on! I don't have kind of luxury for the Chicago marathon. I've been training to run the entire thing. And my training runs have been pretty solid. I "should" finish almost an hour faster than my Ironman marathon time. But here's the rub - I'm torn on how to approach the race. I want to run and push myself and see how I can do. But I also want to bring my phone and take pictures and make this into an event. 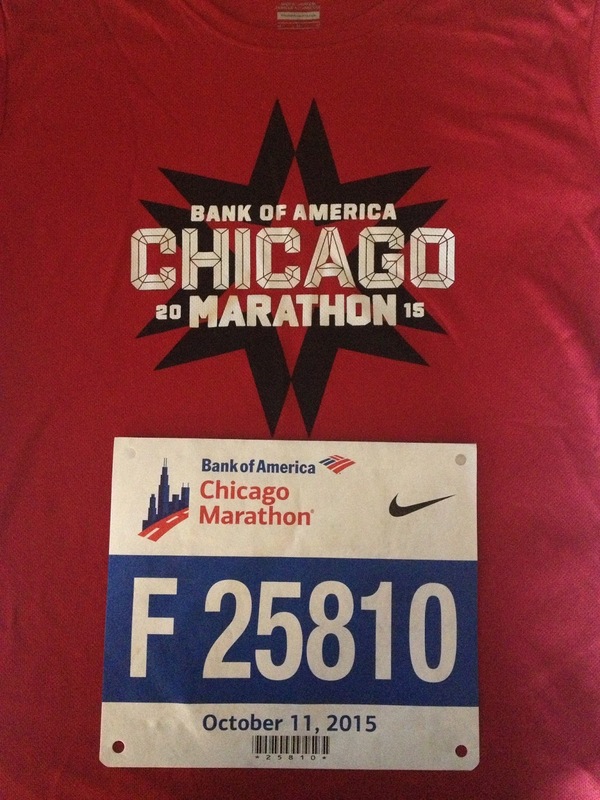 I'm probably only running Chicago once. May as well enjoy the experience, right? 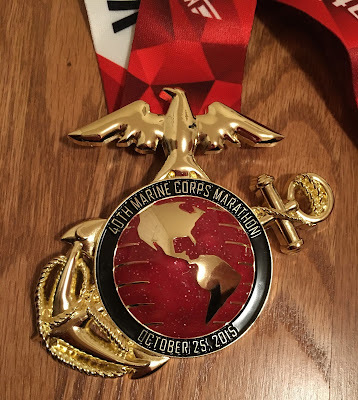 And, of course, I still have the Marine Corps Marathon on the 25th I need to think about! 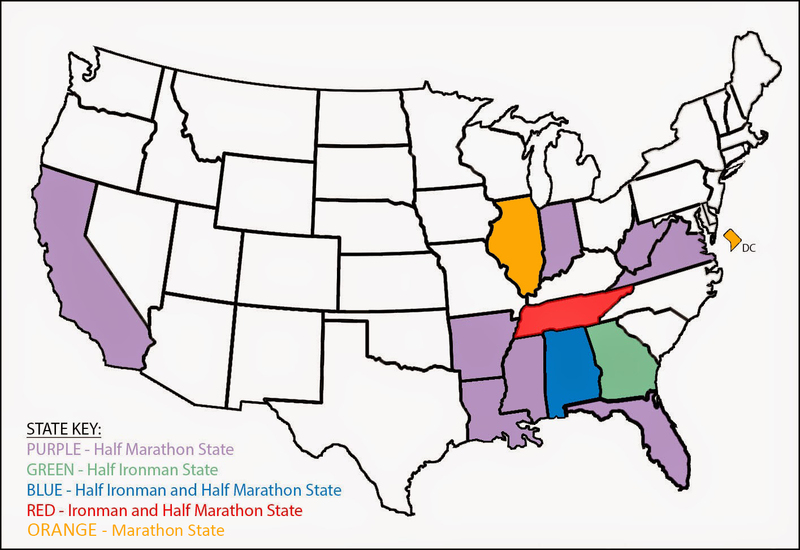 If anyone has experience running almost back-to-back marathons, please let me know! I need your advice! And if you're going to Chicago, let me know! I'd love to see you! This post is probably going to be one long stream of consciousness. Sorry. My brain is too fried at the moment to create an organized post. Just go with it. Sunday a few of us (Kathy, Bree and Ashley) headed down to Chattanooga for IMCHOO. Though I have cheered at triathlons before, the four previous Ironman-branded races I've been to (Augusta 70.3 twice, Chattanooga 70.3, IMCHOO) have all been from the participant side, not the sidelines. I was looking forward to seeing how the race was from the other side - the spectator side. And while it was a lot of fun, it was completely exhausting. Seriously. Exhausting. We started our spectating adventure at the top of the last hill on the bike course. We figured that we would be able to catch all of our friends right when they needed a boost the most. Bree had her spectating on-point and brought costumes, a white board with markers, and a bullhorn. Because what good is cheering people on if they don't notice us, right? We yelled and cheered for every cyclist that rode by. We were really enthusiastic for the first hour or so, and tried to think of clever things to yell at everyone. But really, there are only so many ways to cheer someone up a hill, especially if you don't know the person. It's kind of a "Go person with the yellow shoes! Go yellow shoes!" Lame, but at least the person in the yellow shoes knew we were talking about him. I want to say we were out there four hours. By the end, we were all sitting or kneeling while we were yelling. Bree actually laid down for a while. God love her, she was still working that bullhorn. 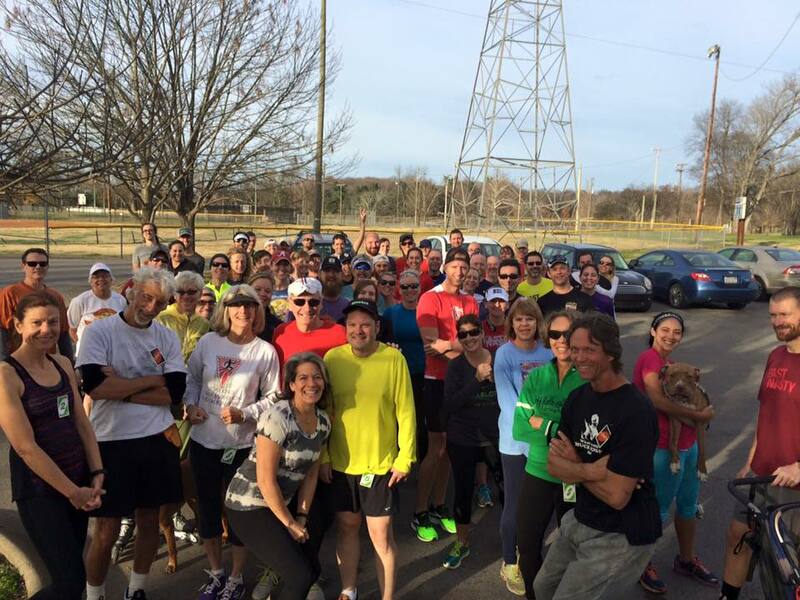 After all of our friends passed, we headed to downtown Chattanooga for the run course. We set up camp right before the split on the course that either leads you to the second lap, or to the finish line. Again, we yelled for everyone that passed by. 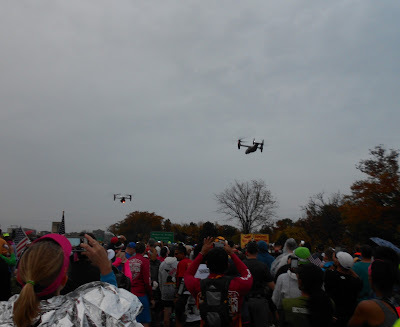 It was so much easier to cheer for the runners than the cyclists. Part of it was because they had their names on their bibs, so you could actually cheer by using their names, but also there were a ton of other spectators and it was easy to build off of their energy. Again, we waited until we saw all of our friends at least once, and then headed back to Nashville. All of us had to work the next day, so we couldn't stay at watch everyone finish. Honestly, I'm not sure how I would have made it to midnight anyway. I was so freaking tired. I loved it, but it was exhausting. Now here is kind of where the stream of consciousness comes in. It was kind of weird not participating in the event that took up the majority of my mental and physical energy last year. I wasn't sad exactly, but I guess I was a little bummed that a year had already passed from when I did my race. It started last Friday when I finally took down the remaining decorations that had been hanging in my office from when my co-workers decorated it after my race last year. My epic event is now a year in the past, and I kind of feel like it has less meaning now. Which is completely stupid, I know, but I never claimed to be completely rational. 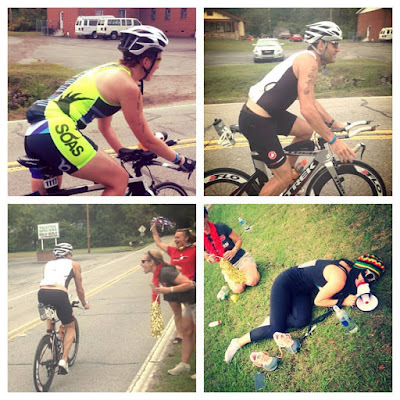 My friend Kim, aka The Blonde Mule, did a similar post about this in reference to her race at Augusta 70.3, so I know I'm not alone in feeling like this. But what is even weirder is that even with these feelings, I had NO DESIRE to be racing IMCHOO this year. At all. There were several times when I thought "I am so glad that's not me riding up that hill" or "Oh - he still has another half marathon to go. Poor thing." Usually when I'm spectating a race, I'm all "I can't believe I'm not out there!" But not Sunday. And that confuses me because I really want to do another Ironman. I guess maybe that just means that I'm not ready to actually do another one yet. Right now, I probably won't be doing one until 2017. We'll see. 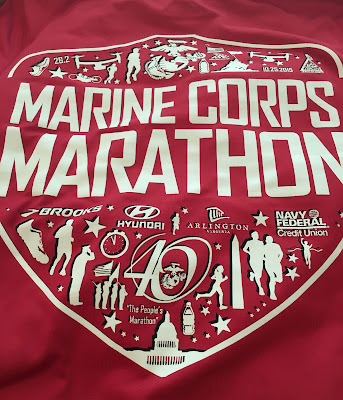 I need to get through the Chicago and Marine Corps Marathons first! Only one more week until Chicago!! 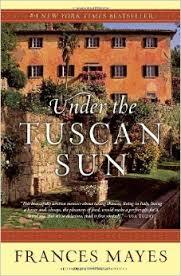 My selection for this month is "Under the Tuscan Sun" by Frances Meyer. I know, I know...the book came out in 1996. A little late for a book review, huh? But I had two reasons for reading it now: 1) I'm pretty sure this is one of the few of the book group books that I've missed in the 17 years I've been with the group and I wanted to catch up (I'm a little obsessive like that) and 2) it was something like 99 cents on Bookbub, so I went for it. 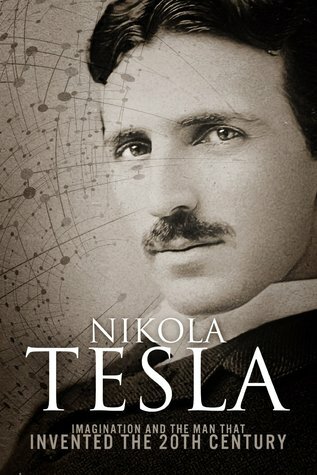 As I probably have mentioned, I don't really want to have any kind of advance knowledge of a book prior to reading it. I like diving into a book blind and letting the words lead me where they may. A general idea of a book is all I need. "It's funny" or "It's about a girl growing up in World War I" is enough for me. Sometimes this works out well, like with "The Name of the Wind", but other times not so much. Example: I didn't realize that "The Time Traveller's Wife" was supposed to be this epic love story. I kept waiting for the time traveller to be a serial killer or something. Needless to say, I didn't have the same reaction to that book as most people. But I digress. My point of the previous paragraph was to highlight that I had very limited knowledge of this book prior to reading it. I knew that it was about a woman who bought a house in Italy, that it had been made into a movie starring Diane Lane, and that there were recipes in it. That's it. I kind of figured it would be like "Eat, Pray, Love" where the author made a lot of mistakes while renovating the house, but learned something deep and profound about herself in the process. I also assumed that since it was made into a movie, it had to be decent, right? They don't make movies out of bad books, RIGHT? Yeah - not so much. 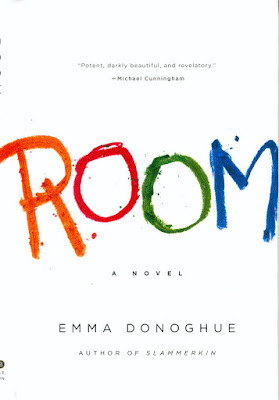 While beautifully written, this book has absolutely no plot whatsoever. None. Long story short, a rich professor / writer purchases a historic home in Italy with her professor boyfriend and they spend a lot of money fixing it up. They also took a lot of walks and described how beautiful the countryside was. Sure, there were some mishaps with the contractors (aren't there always? ), but nothing out of the ordinary. For a book to be of interest for me, it has to actually have a story and some character development. "Under the Tuscan Sun" has neither. It's basically a 300-page travel brochure for the Tuscan countryside. And for that purpose, it does quite well. I really want to go to buy a million-dollar, remote farmhouse in the middle of Italy where my biggest worry is not being able to find the proper mill to press my home-grown olives into olive oil. Yes, that was one of the big dilemmas the author faced. And how about this for a plot line? The author met another rich expat who was downsizing from her mansion and gave the author a bunch of antique furniture. OH, THE HORROR! Seriously - who lives this life? After I finished the book, I was wondering how in the world this got made into a movie. Turns out - they changed the plot so, you know, it actually had a plot. While I understand that this book was a memoir and that sometimes our lives aren't that exciting, I think this book would have been best served with a little bit of embellishment to maintain the reader's interest. 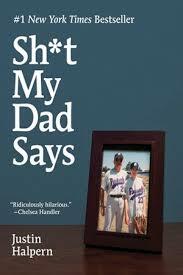 It wouldn't have been an exact memoir, but it would have been a much better read. Next up? I'm not 100% sure, but it'll be from this decade. Promise. Happy reading! The countdown has begun! 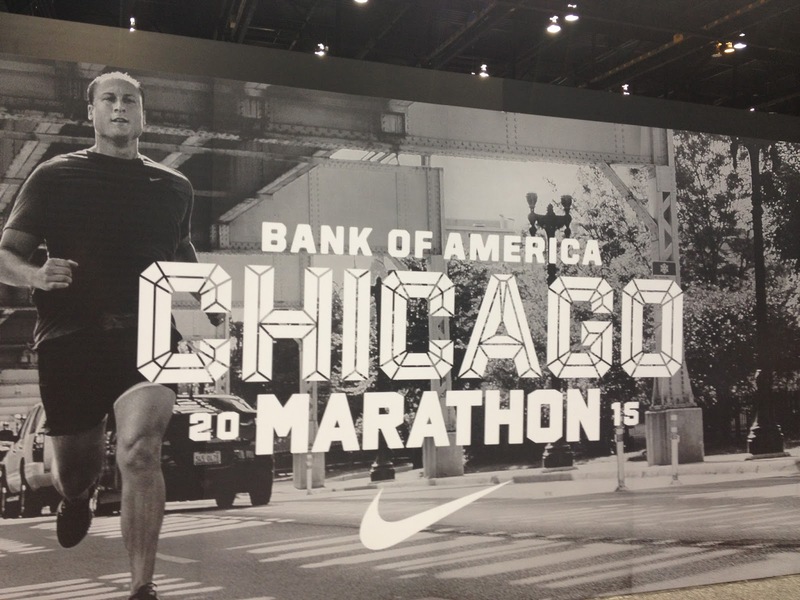 23 days until the Chicago Marathon!! Woo Hoo! I'm not exactly sure how I'm feeling right now. I'm excited, because I think it'll be a really fun experience. But I'm not nervous. At all. And I feel like I should be. 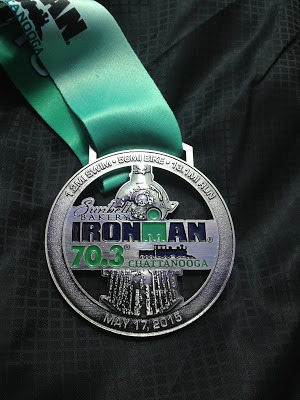 I think I'm not nervous now because I was so nervous before I did Ironman Chattanooga and I survived it. 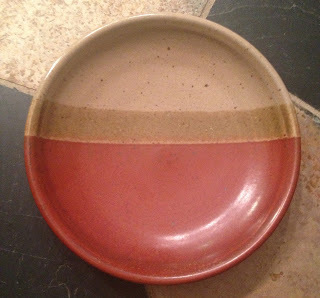 After IMCHOO, it's kind of hard to faze me race-wise. However, I also know better than to disrespect any long-distance race. Running 26.2 miles is going to be hard and hurt no matter what the speed. 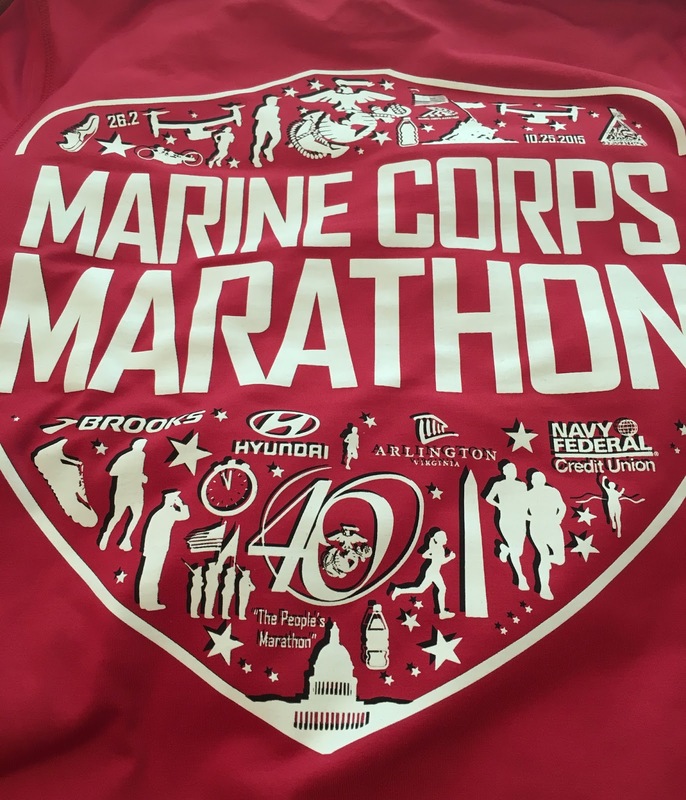 Of course, I get to look forward to the Marine Corps Marathon two weeks after Chicago. That's right. Rather than being logical and dropping out of one race, or deferring to next year, Dudley and I are going to race both Chicago and MCM back-to-back. Because that's what we do. I hate to say this as to jinx myself, but training has been going pretty well. In fact, I had my longest training run to date (even for IMCHOO) last Sunday and it rocked. 18 miles at a 9:36 pace. If I could keep that up for Chicago, I'd be thrilled. However, I know many, many things can go wrong on race day so I'm not really thinking about a goal finishing time right now. The plan for now is to go and have fun. Maybe if my final few long runs go well, I'll allow myself to set a goal finishing time. But for now, it's just to show up and finish with a smile on my face. Of course, my goal for MCM is just to survive. We'll see how that goes! 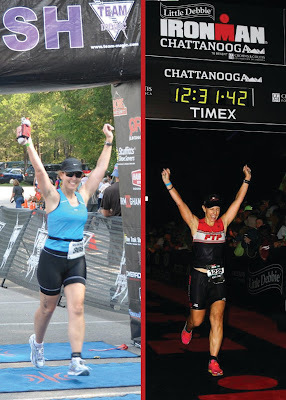 Last week, I hit my five-year anniversary of racing triathlons. That's just crazy to me, as I still feel like a newbie sometimes. Even yesterday, I kind of felt like I forgot how to swim. Anyone else get that feeling? You're in the pool and you just kind of feel like you're just flopping around out there? It's a joy, let me tell you. As with joining East Nasty, I have to blame my friend Holland on my interest in triathlon way back in 2010. 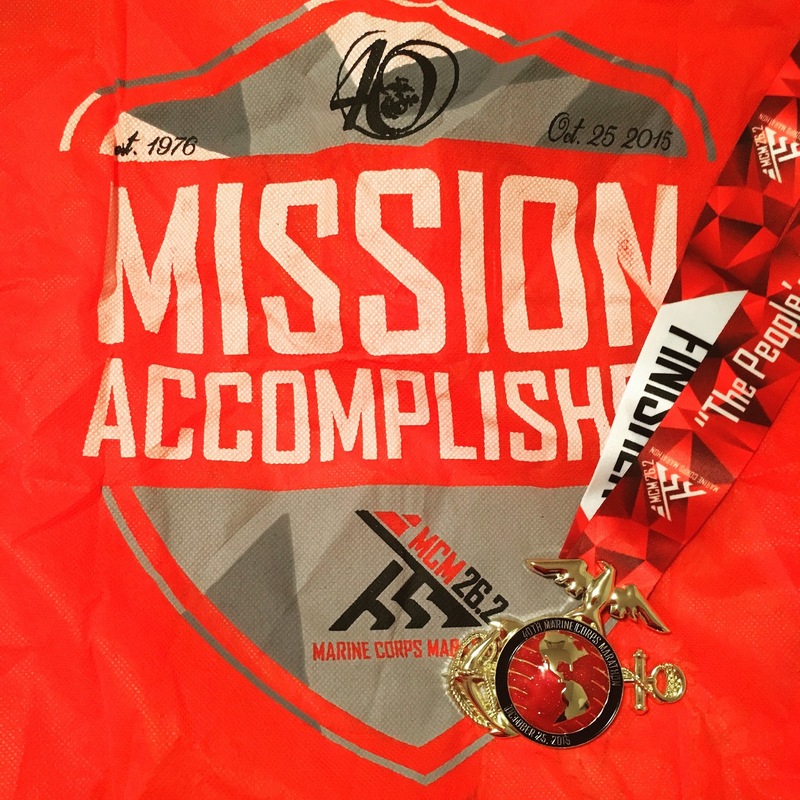 While I had been toying with the idea of doing a tri for a few months, it wasn't until Holland planted the seed of signing up for Ironman Augusta 70.3 that I really started taking the idea seriously. (Sidebar - I love crazy friends who encourage me to do crazy things with them.) I soon registered for the Cedars of Lebanon sprint tri as a training race, which was held in August at that time. It was a 300 meter swim, a 16.5 mile bike and a 3 mile run. 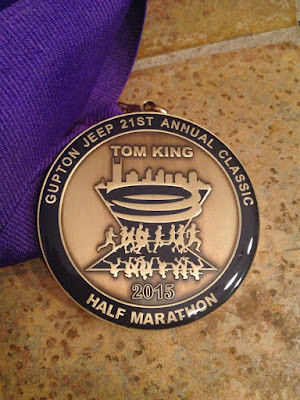 I had three goals for this race: 1) Don't die, 2) Run the entire run portion, and 3) Finish under two hours. And though it was incredibility hot and really hard, I accomplished all three and finished in 1:41:55. Since that August day, I have finished a full Ironman, four 70.3 triathlons and numerous Olympic and Sprints tris. I have crossed a finish line on a red carpet to thunderous applause from spectators, and I have cried alone in the middle of a park because I just couldn't run another step. I have questioned my sanity and life choices many, many, many times. I've learned that nothing tastes better than a cold Coke after a 80 mile bike ride in 95 degree weather. I can tell you the location of every bathroom and mini mart in all of Nashville, because you never know when you're going to need one during a run. I have had fish nibble on my toes during an open water swim, and thankfully, have avoided any run-ins with snakes, leeches or alligators. I can talk about races, training, paces, swim sets, heart rate and my favorite flavor of Gu (Salted Caramel) for HOURS. I know who Chrissie Wellington, Mirinda Carfrae, Andy Potts and Craig Alexander are. I have looked at a workout and thought "there is no way I can do this," but then go do it anyway. I have pushed myself further than I thought I ever could and now dream bigger because of it. I've gained strength, support and inspiration from the amazing friends I've met along the way, and hopefully have given some of that support back to them. It's been a wonderful journey so far, and I'm looking forward to where else it takes me. First finish line to Ironman.